We’re all familiar with the “effortless abs” achieved by infomercial models. Usually pictured crunching away on the latest trendy abdominal exercise machine, their encouraging smiles and ripped cores often have us whipping out our credit cards on the spot. Or, maybe we try to mimic them using machines at the gym. What these infomercials fail to tell you is that most of the machines being advertised are not only ineffective, but downright dangerous. They put your lower back, spine, and hip flexors (the muscles connecting from the front of the thighs to the lumbar vertebrae) at risk. These machines place extreme stress on the hip flexors, while simultaneously compressing the disks of the lower back. They also promise visible abs through continued use, while studies show that no amount of crunches, sit-ups, or unnatural twists will “burn” belly fat (1). 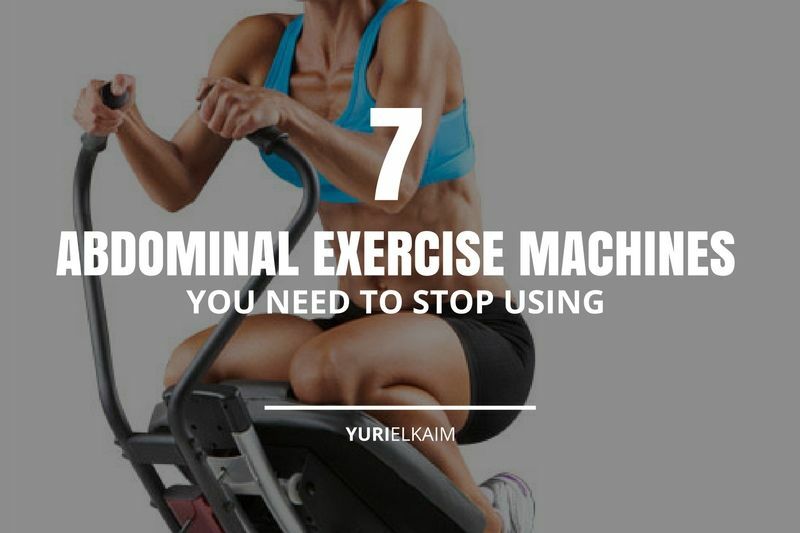 To help save your back and help you get the abs you want, I’ve put together this list of abdominal exercise machines that are the worst offenders, along with some of the best exercises you can do to strengthen your abs. Incline sit-ups are one of the most deceptive of ab machine workouts, not only because they tend to look extremely effective (like an enhanced super-crunch), but also take quite a bit of effort, which makes many believe they’ve gotten an effective ab workout. Unfortunately, the burn induced by incline sit-ups is concentrated in the hip flexors, and is especially taxing on their connection point to the upper legs. Along with the potential for tearing one of these flexors, the load placed by gravity on the lower back is enough to set the stage for a back injury. Twisting to “engage the obliques” is a practice that has been around since the advent of ab exercises. 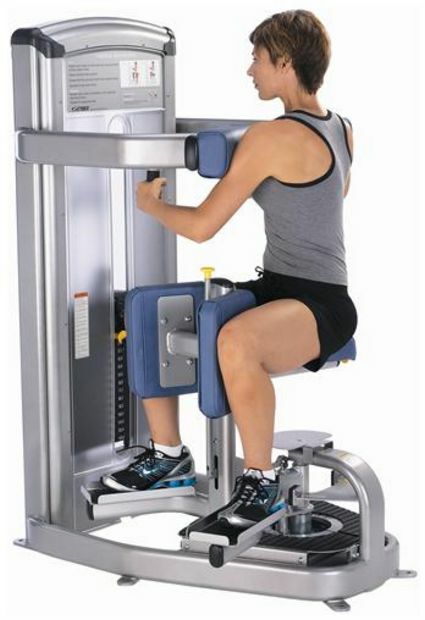 Ironically, the twisting motion of these moves – especially by machines such as the seated spinal twist machine –is one of the worst movements for the lumbar spine, which acts as a body stabilizer and is not designed for excessive and unnatural twisting, especially when loaded with weights. 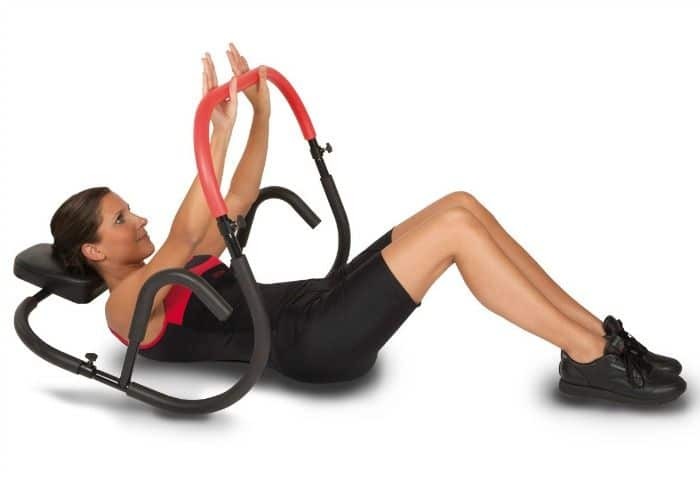 The Ab Glider is reminiscent of the seated spinal twist machine, which causes the spine and discs to swivel while rocking from side-to-side. Aside from the dangers of this unnatural twisting, most of the tension being pushed onto the hip flexors to drag to torso along (even while facing forward), while the rest is in the arms to hold on to the handles of the machine. Not to mention the fact that in 2014, marketers of the Pro-Form Ab Glider ended up paying $3 million in civil penalties for “deceptive weight loss claims” (2). The Ab Roller is another piece of equipment millions of viewers of infomercials have (regrettably) been coerced into buying. It’s tempting to defend the theory behind the contraption, since many of us have experienced neck and upper back pain while doing crunches. The Ab Roller’s manufacturer claims the machine’s head support and arm cradle takes the pressure off those body parts. Unfortunately the Ab Roller takes an already ineffective ab exercise (the crunch) and adds a support system that does nothing more than allow you to rock back and forth (using your arms) while putting additional strain on your hip flexors (3). A classic “fast weight loss” marketing ploy, the sauna belt promises fat loss in the abdominal area through increased perspiration. While sweating has beneficial effects, such as increased detoxification and improved circulation, strapping on a belt that makes you sweat will not produce abdominal muscles. Since we also know spot training is a myth, we can rule out the idea that fat will melt off one area of the body using heat. In addition, there are no scientific studies showing the sauna belt is effective. The back extension is usually performed to work the low back (which is actually the back of your abs) or the rear “love handles,” along with the hamstrings and glutes. 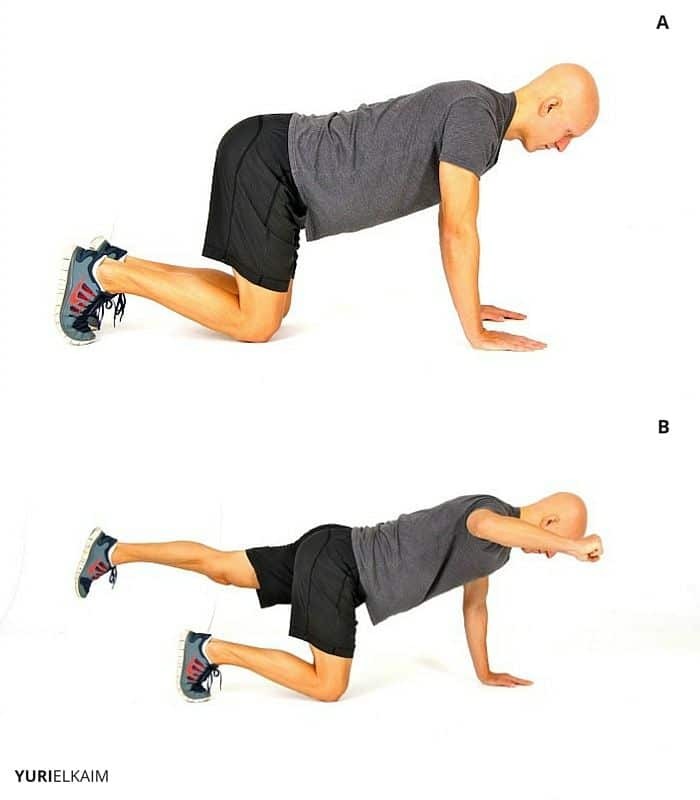 The problem with this exercise is usually in the way it’s performed, by slowly lowering the body down to the ground, legs locked in, then shooting up quickly to achieve a contraction in the lower back muscles. This is a disc injury waiting to happen, as the discs are liable to slip under such a rapid movement. There is also a lack of stability here, which is the foundation of all core strength (not to mention that no amount of crunching, reverse or otherwise, will burn away love handles). The hanging knee raise is another exercise that not only puts extreme stress on the hip flexors, but also doesn’t even work the full range of the abdominals. It is only slightly more effective when the pelvis is able to tip forward to aid in lifting the legs, but most of us aren’t strong enough to do this and end up causing even more strain on their hip flexors. As you can see, when it comes to exercise, the most complicated is usually the least effective in terms of results. A rule of thumb regarding abdominal exercises (or any exercise, really) is to create and mimic movements that are natural to the body. Some call these “functional” movements. The goal is to avoid contorting the body into unnatural positions while working muscles as they were meant to be worked: together, not in isolation. By keeping it simple and using mostly bodyweight exercises (there are some exceptions, like the Pallof press, below) that work our core as it was designed to work: as a stabilizer. Planks are considered one of the best ab exercises, as nearly every inch of the abdominals are being activated, along with the entire front side of the body. In the plank position, we’re building and strengthening the deep core muscles of the transverse abdominis and the internal abdominal obliques, which wrap around our entire core and lay the foundation for our “six-pack” muscles. Planks are also excellent for relieving back pain (unlike most machine exercises, which are liable to cause it) by strengthening the actual core – our stabilizer muscles – which takes pressure off the lower back (4). Stability ball push-ups are a challenging exercise that have the benefits of a plank (activating those internal abdominal muscles that strengthen the entire core) while also working the arms and upper back. 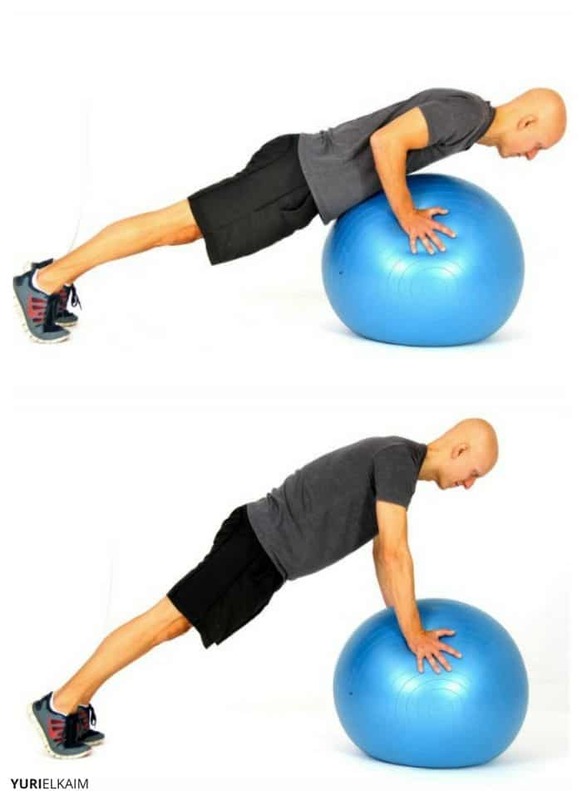 The reason they are so effective is due to the unstable nature of the ball you’re pushing against, which requires the abs (especially the obliques) to work extra hard to maintain balance. The stability ball grasshopper packs a double punch, as the stability muscles are engaged due to your feet being on the unstable ball, the rectus abdominis (six pack) muscles are contracting, and the upper body is working isometrically. Be sure to keep your spine straight (don’t let it sag), with your abs pulled in and contracting throughout the exercise. The renegade row takes the benefits of the plank into a slightly more challenging variation by involving more of the upper body. 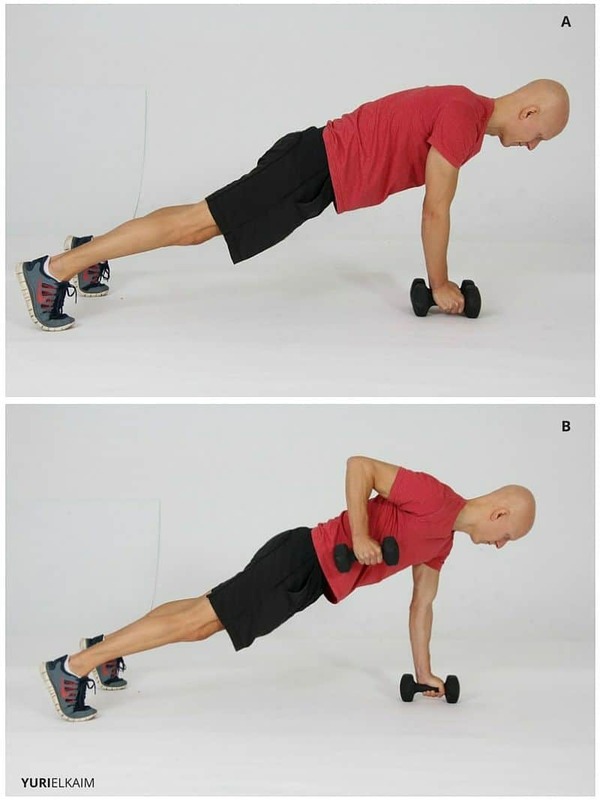 By keeping your body in a straight line in the plank position, with one hand rowing a dumbbell to your ribcage, you not only work your arms while activating the stability muscles of the core, but also work the upper back and cause the oblique stabilizers to work even harder to balance while your rowing hand is off the ground. Side planks focus on the internal core and external oblique muscles, while also isometrically working the arms and outer thighs. This causes the obliques to pull tighter around the body (what I like to call the “corset” effect), aiding in achieving a tight, streamlined waist. 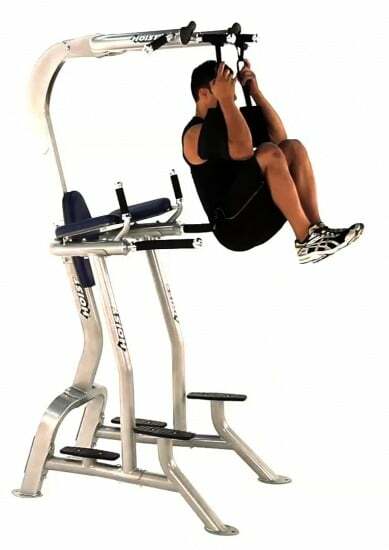 The Pallof press is one of the few abdominal machine exercises that is extremely effective. Its effectiveness is due to the resisting of spinal movement (which engages the stabilizer muscles in a similar fashion to the plank) while moving a cable weight connected to a tower in front of the body. Here our abs resist twisting as the weighted cable tries to pull the body to the side, which engages the obliques. The upright bird dog also involves resisting rotation as you place your hands behind you on a stable surface (such as a bench) with your feet in front of you, as if you were preparing for tricep dips. By then lifting one arm in front of you, along with the opposite leg, you create core engagement to maintain your balance, while also isometrically working the glutes and backside of the body. While staying away from ineffective abdominal machine exercises and doing functional core exercises instead will strengthen and build your abs, they won’t sculpt away excess fat around your middle. So if you want visible abs, you have to add in another layer of workout (along with a sensible diet, of course). That means integrating fat-burning cardio into your weekly routine. Luckily, planks and plank variations create a higher metabolic output (i.e., more fat burn) than isolated machine exercises, due to the fact they use more muscles. However, one of the best ways to reveal a shredded core is through HIIT (high intensity interval training), which involves alternating bouts of intense work with short intervals of rest. It is proven to be one of the best workouts to burn fat, even though the workouts are relatively short (5). A sample HIIT workout would be sprinting or using the elliptical with all-out intensity, alternated with periods of lower-intensity exercise, for 20-30 minutes 1-3 times per week, depending upon your level of training. It’s true that simpler is often better – especially when it comes to exercise. Following these principles of core training will save you an endless amount of time, money, and quite possibly your hip flexors and your lower back. And it’ll allow you to finally see visible results from head-to-toe. Discover 7 unknown ways to lose belly fat and get toned abs – for FREE! Learn how to train smarter and not harder with these insider tips. Click the banner below to download the Abs Secrets Blueprint.